Stop renting flooring at the convention halls. 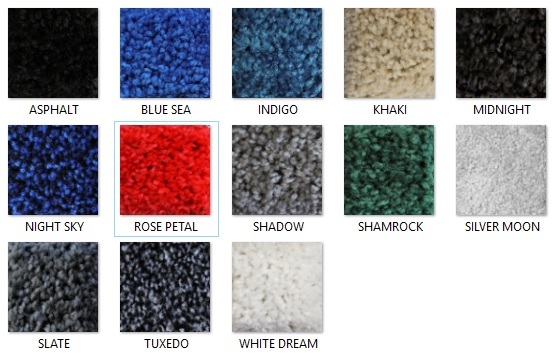 Save with our quality, vibrant exhibit carpeting offered at significant value. Part of Brumark's popular Advantage Carpet program, NexGen 10' trade show exhibit carpet is available nationwide in 13 new vibrant colors and two weights. Now with an innovative new yarn system for extra durability. *Order QTY 2, 3, 4 and so on for larger spaces. Indicate exhibit space configuration in the notes when you check out, i.e. 10x30, 20x20, etc.. Shipping Details: Free freight to your business or straight to the advance warehouse. Save even more money and rent from us. Contact us for details. Due to variation in monitor settings, the color shown on your screen may vary from the actual color of the item.